Season 6 of the immensely popular Battle Royale game, PlayerUnknown's Battlegrounds (PUBG) Mobile, is going to release on March 21.
new season comes with various improvements and additions over Season 5, which ended on March 18. Here's all that will change in the upcoming PUBG season. This will be the first time when an update would be pushed without taking the servers offline. All you have to do is have enough space on your device and download the update via Wi-Fi. Notably, Season 6 brings dynamic weather to its oldest maps, Erangel and Miramar. You can only play the game with the players who have upgraded to the same season. Sanhok receives the Tukshai (or Tuktuk), a three-wheeled bus that replaces the 4-seater Jeep, Dacia, and Mini Bus. Vikendi gets a G36C Rifle that fires 5.56mm rounds and can be equipped with a stock. New skins to rifles, bags, and parachutes have also been added. The season brings new avatars and outfits and fixes bugs while previewing outfits. PUBG Mobile aims to celebrate the anniversary with the players. On Spawn Island, you can now light fireworks and collect crates that can be opened after the match for anniversary-exclusive rewards. You can also find randomly spawned birthday cakes in matches for a surprise. You can now purchase one room card in 'Clan Shop' every 10 days. Clan system also gets a robot avatar. Zombies will be weaker but the damage for being outside the playzone will be increased. The "I got supplies" quick chat message is now pre-selected. 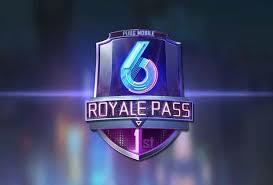 Royale Pass system gets additional rewards, more points from weekly challenges, and the ability to view the rankings of the entire region directly from the RP page. Season 6 of PUBG Mobile will end on May 18.